It can be tempting to buy a new dress for every single wedding you are invited to, but with many of us receiving over five wedding invitations per summer, this can get a little ridiculous. If you don't want to buy a new dress this summer, then these five accessories trends will help you make the outfits you already own feel totally fresh again, not to mention so 2017. And you won't need to save these five accessories for formal occasions, as basket bags, ladylike pink dresses, statement earrings, metallic shoes and gingham pieces will also work for your entire summer schedule. Scroll below to shop our edit of the five best accessories trend to update your summer wedding looks. 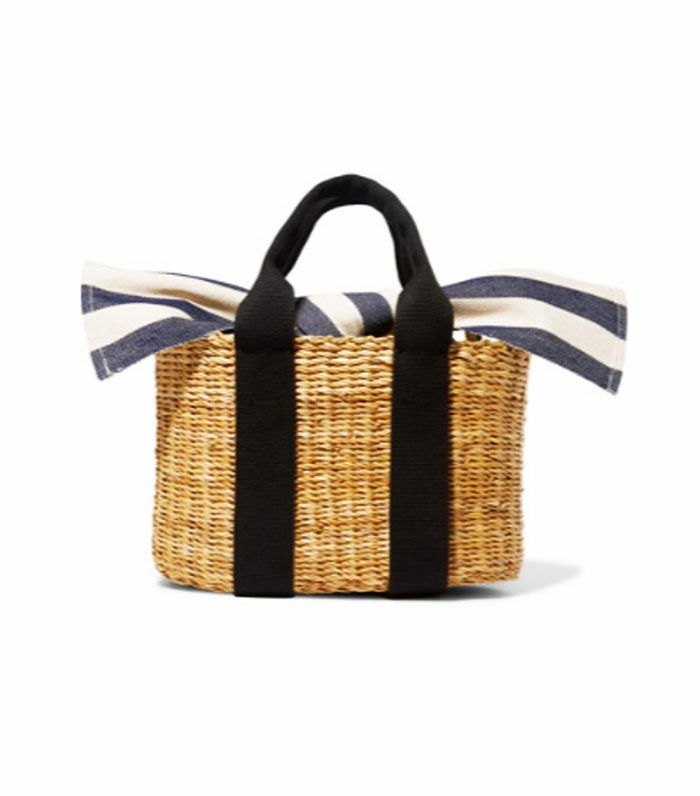 The striped bow smartens up this wicker basket. This Cult Gaia bag is one of the standout accessories of the summer. This is an affordable way to update your wedding-guest look. Add a splash of colour to your outfit with these beaded earrings, which come in plenty of paintbox hues. Mango is one of the best places for statement earrings on a high-street budget. These amazing earrings are now 50% off. This mini bag is super cute. This dusty pink is the colour of Instagram right now. If your budget can stretch to Prada, this is the dream candy-coloured bag. These are one of the must-have pieces from Alexa Chung's new label. Low block-heel sandals are the perfect summer wedding shoes. Uterqüe has done it again with these slingbacks. Bella Hadid has been spotted in these Zara shoes. A handbag you can wear for weddings and brunch too. These would look ever so pretty with a simple summer dress. Next up, see the 29 best wedding guest dresses to buy now.